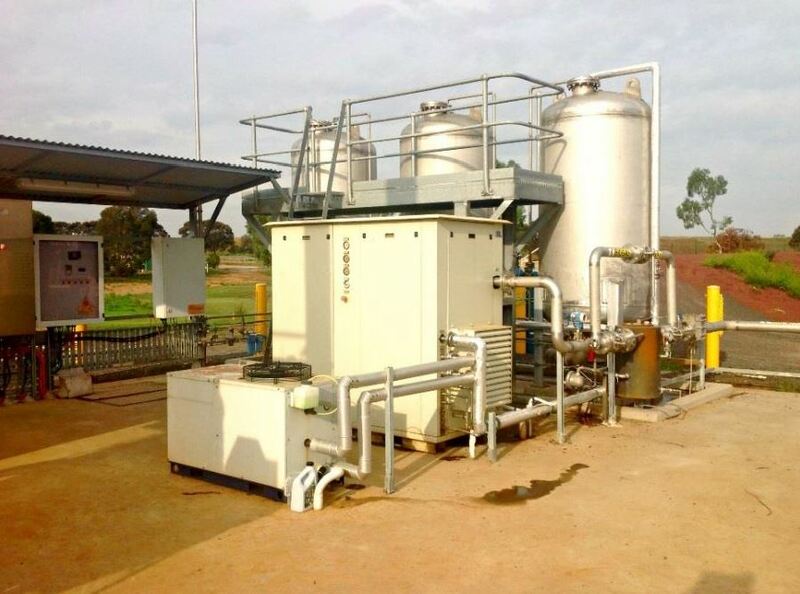 Biogas compressor for cogeneration plant. The BVG37 is installed outdoor to feed a Capstone microturbine. Weather proof execution equipped with a integrated gas treatment system suitable for ATEX zone 2.